The most common issue I come across with busy professionals is too much to do and too little time. What I find intriguing though, is that when I ask about their personal productivity, most professionals rate themselves around 70%, perhaps 80% on a good day. So, what’s going on? The rate at which we live, and work, has sped up considerably in the last 5 years. Technology, lifestyle and family changes mean that our work is never far away and our ‘To do’ list has become a constant merry-go-round within our minds. 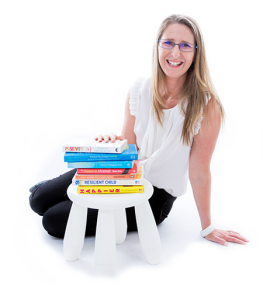 We each have around 50 – 80,000 thoughts per day, no wonder you feel exhausted by the time the kids are in bed and the kitchen is finally tidy. I can’t promise you this will transform your life, and you’ll simply live happily ever after (I’m much more of a realist.) But, I will say, if you can manage your priorities efficiently and start working your ‘To Do’ list like a boss, you’ll be able to feel confident and on top of things. Which means you can work less and free up some of that head space for important things, like kids concerts and finding lost socks. LOL. Below is the process I use to manage my ‘to do’ list. Know what you want your career or business to look like in 12 months. Most people don’t have a clear picture of where they are going, so their ‘To Do’ list ends up filled with irrelevant tasks that add no value to their vision. This is a very simple one-page document, to help you see what you need to do in the short term to achieve your bigger vision. It’s your higher level ‘To do’ list and should be checked and worked on at least weekly to you keep the positive momentum and motivation to improve. Personally, I break up my three-month plan into 5 chunks of my business to work on and these things change each three months. This document gets laminated and is a great reminder of how I’m going to achieve my bigger goals. Your daily ‘to do’ list will include all the general things that you need to do in your business, like emails, returning calls, sending proposals, follow ups and ordering supplies. The key to your daily ‘to do’ list is to include at least one thing that is helping you achieve your three month plan, no matter how small. That way you will be working towards the bigger vision every day. OK, sounds simple right, well, no. The trick is in how you actually manage your to do list. So, here’s the way I manage my ‘To Do’ list effectively. Firstly, off to office works. Go purchase a red felt tip pen and a A5 spiral bound notebook. Not a diary, and it must be spiral bound as it’s going to be folded over on your desk….. for the rest of your life. Start out with a clean, blank page. Date the top and put 4 tick boxes down the left-hand side of the page, with double spacing. Half way down the page, and indented from your fist list, put another 6 tick boxes, double spaced, down the page. Now, your to do list is split into two sections. The top section is for items that take longer than 45minutes to complete. Where you’re doing these things, remove all distractions and focus. The bottom section is for 5 – 10-minute tasks, these can be done between appointments or sometimes on the fly. The key here is to make it easy to read and use. When you see a clean, organised ‘To Do’ list, your brain won’t go into overwhelm, it can just start working. Next, delegate as many items as possible. If you’re like me and work on your own, it’s time to get a team of experts you can outsource too. They will pay for themselves quickly and clear space for you to work on the tasks you’re good at. Now the fun part. Start doing things and get out your red pen. Not only do I Tick the box, I also put a line through the item giving my brain that all important hit of dopamine. That’s the part that keeps me coming back for more. OK, so, I concede, it’s a rare occasion that I tick everything off my to do list, even with my ‘delete and delegate’ steps. When I don’t get to things, I put a black arrow in the box pointing to the next page to indicate that I’ve written it on tomorrows (or perhaps the next day’s) list and it’s not forgotten, just moved forward. That way I only ever turn the page when every box is either ticked off or has an arrow in it and my personal habits around productivity keep me in check. The page on the left isn’t forgotten. This is where you keep any notes from meetings, phone calls, ideas or details you don’t’ want to lose. Now it’s all in one place. Hang on! “What happens to all the ideas, tasks, and other lists that I need to keep on top of in my working life?” you ask. Well, for that, I use Evernote. It’s a simple note taking app that I can organise into folders for lists both personal and work related. Never write anything on a scrap of paper again, Evernote keeps it all and can search and find it for you easily. So, it’s not a perfect system, but I’ve using it to manage my ‘To Do’ list for over ten years and it certainly works for me. Things don’t get missed or lost and each day I’m making sure the things I do relate to where I want to be in the longer term.